My beautiful old dog Henry, died six months ago and I am just bereft. He was always with me whatever I did or wherever I went and as I live on my own he was my companion and I would talk to him all the time. When I walked him, people would often come up and talk to me. Somehow when you have a dog with you it makes you more approachable. I am lost without him and so lonely, made worse by the lack of understanding of those around me. I can't believe that my friends have been so insensitive and have hardly mentioned my loss. I have thought about getting another dog, but just don't feel that any other dog could replace him. Thank you in advance for any ideas you can give me. Many people, even our closest friends, can often feel uncomfortable talking about any losses we may have experienced. Because of this, we can sometimes feel isolated just when we need some support. This applies particularly after the death of a pet, as there are some, particularly those who have never owned one, who can't acknowledge the loss of an animal to be a cause for grief. However, be assured that you are not alone - there are many dog owners who are left heartbroken after losing their most loyal companion. Allow yourself time to come to terms with your sorrow. Recollect the wonderful memories that can never be taken away from you, and hopefully you will soon begin to remember your beloved dog with more smiles than tears. Display a photograph of 'Henry' - it will help you to feel connected when he is in your thoughts. There are many dog rescue organisations desperate for help, where you could perhaps volunteer to assist with looking after the ones at the centre and, therefore, benefit from having dogs in your life, but without the full responsibility, although I can't promise you won't become attached to these vulnerable animals. Spending time at such a place would also enable you to make like-minded friends and not feel so lonely. If the only reason you can't face getting another dog is because you feel the new one wouldn't replace the old, yes, of course, no two could ever be the same, but a different dog could prove preferable to not having one. 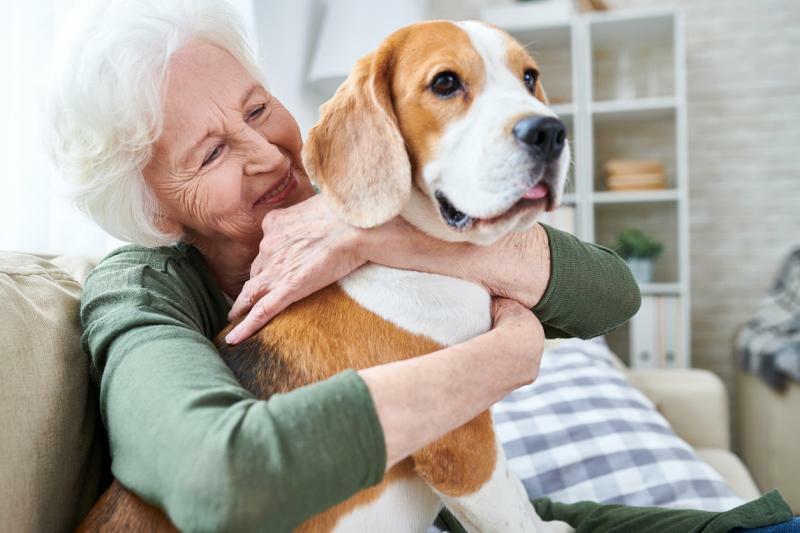 Do consider this, and you may just want to begin a new unique and perfect bond with another furry friend, who would thrive from the love and care you could clearly offer. For a comforting read, I recommend: Goodbye Dear Friend: Coming to Terms with a Death of a Pet - by Virginia Ironside.